Although you can use Samsung Smart Switch to back up and recover data on your smartphone, the application's true purpose is to help you migrate data from one phone to another, specifically to newer Samsung Galaxy phones. The application is absolutely free and it is available for various platforms, including Mac, PC, Android and iOS. Furthermore, it provides support for a wide range of phone models. Once you connect a phone to your computer, the application will immediately present options for backing up and restoring its contents, among others. When it comes to backing up data, the application supports mostly any Samsung or iPhone models. All you have to do is click the Backup button, while the phone is connected and the application will take care of the rest. Restoring data is just as easy, but it works only with Samsung Galaxy phones. The interesting part is that Samsung Smart Switch is capable of restoring data from any other Samsung models and even from iPhones. As a result, you can seamlessly switch from an older Samsung or iPhone to a new Galaxy, without wasting time with manual transfers. Samsung Smart Switch is capable of transferring a wide range of data. This includes contacts, messages, reminders, multimedia files and apps and much more. Another advantage is the fact that you can choose specifically what pieces of data to move or leave behind. If you wish to start using a brand new Samsung Galaxy phone, but with your old data, Samsung Smart Switch will help you migrate, regardless of what phone you were previously using. The software can back up data from one phone and restore it to another. It can move files from iPhones to Samsung phones. The application is absolutely free and it is available for multiple platforms. Data can be transferred only to Samsung Galaxy phones. 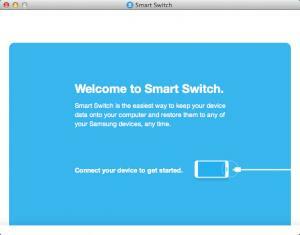 You can download Samsung Smart Switch free here.